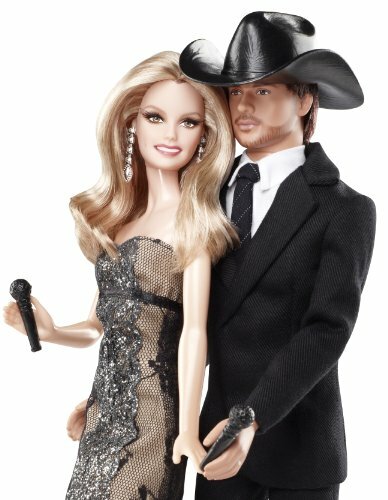 Presenting Barbie Collector Tim McGraw And Faith Hill Doll Gift Set: Celebrating country music’s ultimate power couple, Tim McGraw and Faith Hill. This chart topping celebrity couple continues to have success with #1 hits and setting tour records with the highest-grossing country tour of all time. Tim is dressed in a black suit with his classic black Stetson hat. Faith looks glamorous in a dress made for the red carpet with a glitter pattern and lace overlay. A must have for Tim McGraw and Faith Hill fans and Barbie Collectors alike.